As a general rule, conversion of electric power into mechanical power takes place in the rotating part of an electric motor. In a DC motor, the electric power is conducted directly to the armature through brushes and commutator. Hence, in this sense a DC motor can be called a conduction motor. However, in ac motors, the rotor does not receive electric power by conduction but by induction in exactly the same way as the secondary of a two winding transformer receives its power from the primary. That is why such motors are known as induction motors. When the three phase stator windings are fed by a three phase supply then, a magnetic flux of constant magnitude, but rotating at synchronous speed, is set up. The flux passes through the air gap, sweeps past the rotor surface and so cuts the rotor conductors which, as yet, are stationary. Due to the relative speed between the rotating flux and stationary conductors, an emf is induced in the later, according to Faraday’s laws of electro-magnetic induction. The frequency of the induced emf is same as the supply frequency. Its magnitude is proportional to the relative velocity between the flux and the conductors and its direction is given by Fleming’s Right-hand rule. Since the rotor bars or conductors form a closed circuit, rotor current is produced whose direction, as given by Lenz’s law, is such as to oppose the very cause producing it. 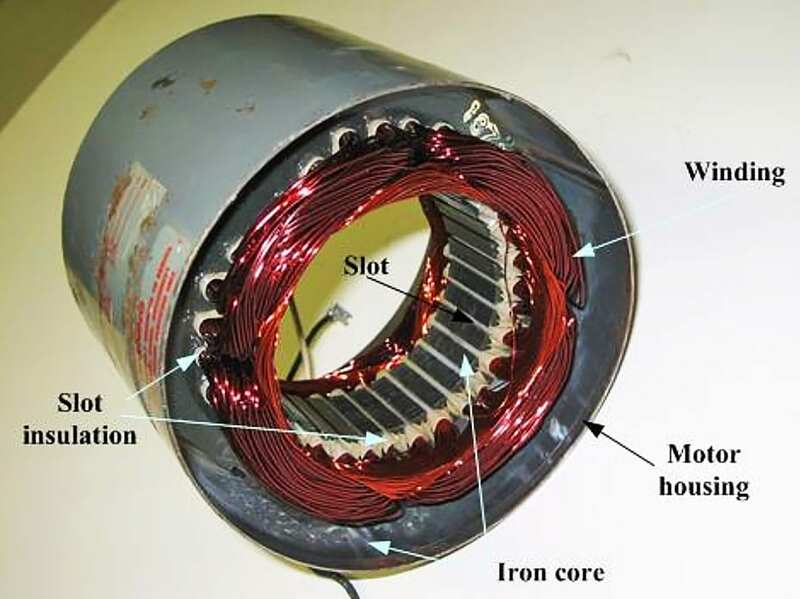 In this case, the cause which produces the rotor current is the relative velocity between the rotating flux of the stator and the stationary rotor conductors. Hence, to reduce the relative speed, the rotor starts running in the same direction as that of the flux and tries to catch up with the rotating flux. 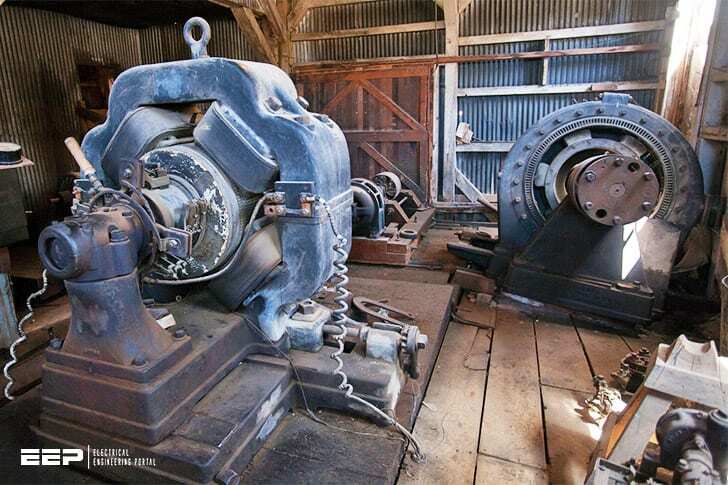 In practice, the motor never succeeds in catching up with the stator field. If it really did so, then there would be no relative speed between the two, hence no rotor emf, no rotor current and so there will be no torque to maintain rotation. That is why the rotor runs at a speed which is always less than yhe speed of the stator field. The difference in speed depends upon the load on the motor. The difference between the synchronous speed and the actual speed of the rotor is known as slip. It is expressed as a percentage of the synchronous speed.